Boston-based Bullhorn has been providing enterprise-grade data capture and customer relationship technology for nearly 20 years. 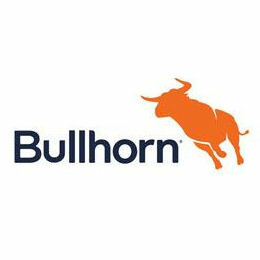 Bullhorn solutions are in use at more than 10,000 companies worldwide. Bullhorn CRM a mobile-ready, easy-to-use and powerful relationship management platform built for today's round-the-clock sales and support teams. Bullhorn CRM is completely automated so that sales and marketing can focus on strengthening customer relationships. Bullhorn Onboarding is part of the Bullhorn Staffing & Recruiting family of products. Onboarding is a central hub for all Human Resources new hire and orientation needs, including electronic signature of all official forms, NDAs and more, eliminating paper documents and manual data entry and streamlining the candidate's experience. Bullhorn Pulse integrates with any CRM, converting contact profiles into actionable insights. Pulse includes the functionality to identify the clients waiting for an action, boosting sales productivity and customer satisfaction.